The long-anticipated progression to the smart home has been gathering momentum in recent years amid an increasingly diverse array of smart devices being released to market, with it evolving from concept to reality, and in doing so potentially delivering greater household control and energy efficiency. In recent years, an increasing number of internet-enabled devices – often collectively referred to as the Internet of Things (IoT) – have been released by technology companies, from smart televisions to smart kitchen appliances, which have progressively been finding their way into households. Information technology research and advisory company Gartner recently forecast that 8.4 billion connected things will be in use worldwide this year, up 31 per cent from last year, and reaching 20.4 billion by 2020, with consumer applications representing 63 per cent of total IoT applications this year. The numbers are soaring, and in this regard the smart home is almost evolving by default. However, harnessing the collective data of a diverse range of devices, and then employing this data to deliver smart home benefits is a key challenge being faced by technology providers. In providing this sort of capability, the smart home begins to emerge, with devices working in concert with each other, under the umbrella of a controlling hub, providing householders greater control over the various functions, such as lighting and heating and cooling, of their residence. In turn, in what could be one of the most significant benefits of the smart home, householders can utilise these functions to deliver greater energy efficiency. 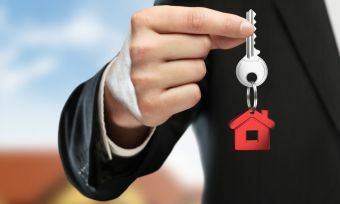 Before plugging in and connecting to potential smart home benefits, however, it is worthwhile considering a number of factors. First and foremost – while keeping in mind that new technology is contributing to further evolution of the concept – what exactly is a smart home? The smart home as a whole is a broad concept, incorporating many different areas, and as it evolves it is presenting householders with a diverse range of products and associated services. 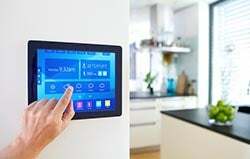 Amid the ever-growing ecosystem of connected devices now inhabiting households, the devices employed by individual households to provide smart benefits will vary, as will any potential contribution to energy efficiency. Indeed, while smart technology has the potential to deliver energy efficiency, whether it does so will be determined by how it is used by households. For consumers seeking to enhance household energy efficiency via smart technology, a logical first step is to consider their current household set-up and electricity usage. It is worthwhile going back over old bills and looking at the costs incurred over each invoice period, while also looking at seasonal variations, determined by factors such as increased heating and cooling costs. For a more specific appliance-by-appliance breakdown of costs, the Energy Efficiency and Conservation Authority Energywise website’s running costs calculator provides information on appliance annual energy use and running costs across a number of different appliance categories. Having determined the specifics of electricity usage, matching the potential of smart technology with greater energy efficiency and short and long-term savings should also be considered in conjunction with the other potential benefits delivered by smart devices. 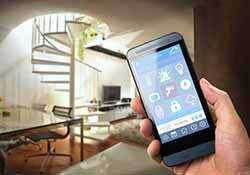 Next steps to energy efficiency – all the way with home automation? Home automation is central to the concept of the smart home, providing for the various smart device functions of a residence to run automatically and in response to the actions of householders. Householder interaction is effectively reduced, providing for remote control and automation of a variety of household functions, including lighting, heating and cooling and appliance operation, responsive to the specific requirements of an individual household. Bringing all these functions together is a smart hub, delivering centralised consolidation and control over various smart devices, and creating automated actions, which in turn can deliver energy efficiency benefits. Typically, depending on the system, householders will be able to control these actions via a smartphone or tablet app, or via their desktop or laptop, while voice interaction is also emerging as a method of system control. Sporting Wi-Fi connectivity, smart lights can be operated and monitored remotely, and programmed to either turn on or off at different points of the day, among a variety of other functions. The Philips Hue smart lights, for instance, when linked to a companion motion sensor, can be configured to automatically turn on when someone enters a room and to turn off when no motion is detected, while different light settings can be applied for during the day and night. Heating and cooling can make up a significant proportion of household electricity expenditure, and in terms of promoting overall greater energy efficiency and lowering electricity costs, will likely be a focal point for most households. Configuring systems to be more adaptable to the habits of householders, reducing unnecessary heating and cooling usage, could in turn translate to electricity savings. Mitsubishi Electric’s Wi-Fi Heat Pump Control, for example, provides for remote operation and allows users to develop different operating rules, including automatically turning a system on or off at specific times, and developing temperature rules, such as setting minimum and maximum room temperatures. Appliances across all areas of the house are now being released with in-built Wi-Fi connectivity, allowing for remote operation, while smart switches, such as Belkin’s WeMo range, are also bringing Wi-Fi capabilities to a range of appliances. Appliances can be remotely monitored, turned on and off, and set to run at certain times of the day via Wi-Fi. For instance, a washing load could be set to run during off-peak electricity hours, helping to save on costs. Of course, when investing in smart technology, the initial cost and set-up, along with the electricity usage of these devices themselves, should be evaluated in determining any potential electricity cost savings they will deliver. Possessing the technology is one thing, however how this technology is used will determine the extent of energy efficiency achieved. With this in mind, consumers should thoroughly research their smart home options and talk to experts in the field. The coming years are likely to see further evolution of the smart home, and consumers should also keep in mind how future-proof their smart home set-up will be. Consumers should also be aware that different devices from different manufacturers may not be compatible, with a point of interest in coming years to be how the various, disparate devices being released are tied together by smart home and device companies into one functional ecosystem. Given the nature of the technology, it may well be a case of starting small and gradually building a smart home ecosystem as needs arise over time, achieving a balance between smart convenience and energy efficiency.